President Trump says his Nato allies have committed to "substantially" increase their defence contributions. No country has yet confirmed that increased spending. President Trump says he's now "very happy" with his Nato allies, because they've committed to "substantially" increase their defence contributions. No country has yet confirmed that increased spending. Was this a victory in Brussels for President Trump? Also in the programme: we hear from one of the divers who helped rescue the football team trapped in a cave system in Thailand. 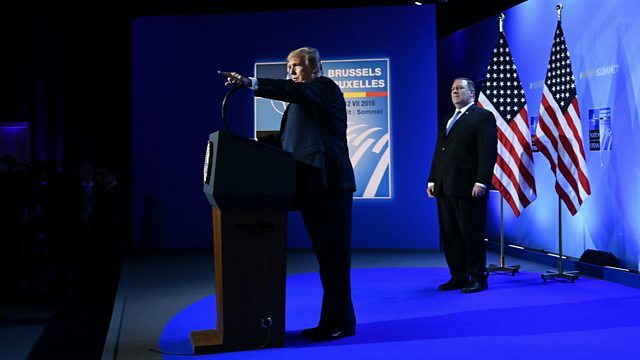 Picture: President Trump holds a press conference in Brussels following a two-day Nato summit. Credit: AFP Photo.